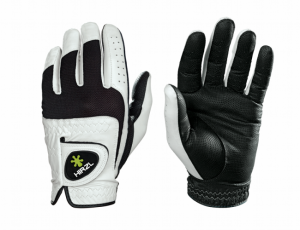 Home › Apparel › What is the Best Golf Glove? The golf glove is an often overlooked piece of equipment. Most casual players just wear a glove to prevent calluses from forming on their hands. They do not realize that a good golf glove can actually help improve their game! The best golf glove should fit your hand so well that you barely even notice it while playing. You should not need to adjust the strap every hole. The palm and fingers should be grippy, so you can take confident swings, and never worry about having your club slip. The top of the glove should be breathable, so your hand can stay cool and sweat-free for the entire round. Lastly, a good glove should be durable, and not get worn out after a few rounds. 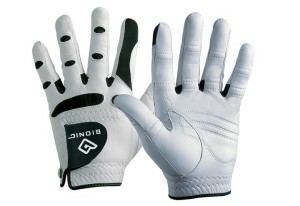 Bionic has made a name for themselves over the last few years by simply creating the best golf gloves on the market. Bionic’s gloves were designed by a leading orthopedic hand specialist, who based the design of each glove on the anatomy of the hand and the science of ergonomics. The StableGrip Golf Glove is a perfect example of Bionic’s product. It features specially placed anatomical relief pads on the palm to give you a lighter, relaxed grip for increased control and swing speed. “Motion zones” placed over the knuckles and web zones between the fingers help give your hand natural movement, while also keeping your hand cool and dry. The glove is also made of a top-grade cabretta leather, which lasts 2-3 times longer than a traditional leather golf glove. Maybe the only downside of this glove is that it should be cleaned every so often to maintain the leather’s elasticity and durability. You can just throw it in the washing machine (gentle cycle, using mild detergent and cold water) then air dry. Because of its premium design and material, the Bionic StableGrip is slightly higher priced than your average glove at $20 – $25. If you’re a fan of the Nike brand, then the Dura Feel VII Golf Glove could be the one for you. 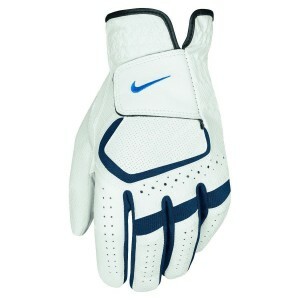 Like most Nike products, the Dura Feel looks a bit more stylish than your average golf glove. It is made of a quality, synthetic material with a leather patch on the palm and thumb to provide additional grip and durability. There is also strategically placed Lycra spandex on the fingers and back of hand for maximum flexibility and breathability. The Nike Dura Feel VII is definitely of lower quality than the Bionic StableGrip, but it is also only half the price. So, if you are looking for something stylish, decent quality, and value priced, then this may be the best golf glove for you. This glove can fit a bit tight at first, so make sure you buy the right size. Ricky Fowler fan? 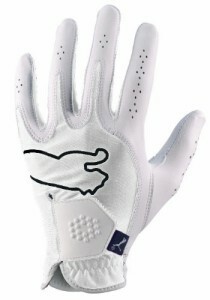 Then you’ll love the uniquely styled Puma Monoline Performance Golf Glove. The palm and fingers are made of genuine cabaretta leather, while lycra is used on the top of the hand and sides to increase breathability and flexibility. It also features an ultra quiet hook and loop closure system, instead of the traditional noisy velcro. 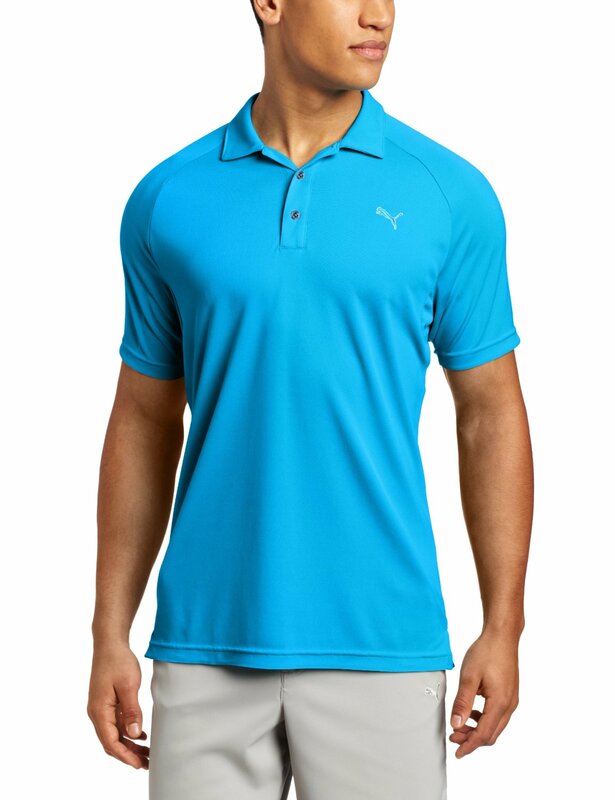 Like all Puma golf products, it is also available in a variety of unique colors. Overall, the Monoline fits extremely well, and looks great. Pick yours up before its too late! Looking for something a bit different? Then the Hirzl Trust Control Glove could be for you. The palm is made with genuine kangaroo leather (yes, kangaroo), which provides noticeably more grip compared to regular gloves. In fact, the grip was tested to give you 3-times more grip in dry weather conditions, and 5-times more grip in wet weather conditions. The palm is also 100% sweat resistant, and will stay grippy no matter what! This should give you some added confidence while you play, and will hopefully help lower your scores. The Hirzl Trust Control costs a bit more than your average glove ($30), but can easily be considered as one of the best golf glove choices on the market. Want what the pros wear? The TaylorMade TP Golf Glove was created for Taylormade/Adidas sponsored PGA tour players like Dustin Johnson, Justin Rose, and Sergio Garcia. It is made of an extremely comfortable, AAA quality cabretta leather. The glove has a stretch fit closure so you can get a custom fit. The wristband is made of moisture wicking material, so sweat doesn’t get to your fingers. 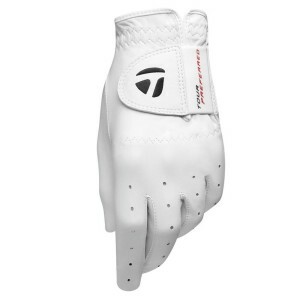 The TaylorMade TP Golf glove is very reasonably priced at around $15 . If you want an extremely comfortable glove, that is durable, and used by many PGA tour players, then this is the best golf glove for you! Best Golf Shirts for Men What are the Best Golf Pants? The Best Winter Golf Gloves for Cold Weather What are the Best Golf Hats? ‹ What is the Best Indoor Putting Green? looking for a pair of cold weather gloves that are tight fitting with good grip. 1 Pings/Trackbacks for "What is the Best Golf Glove?"